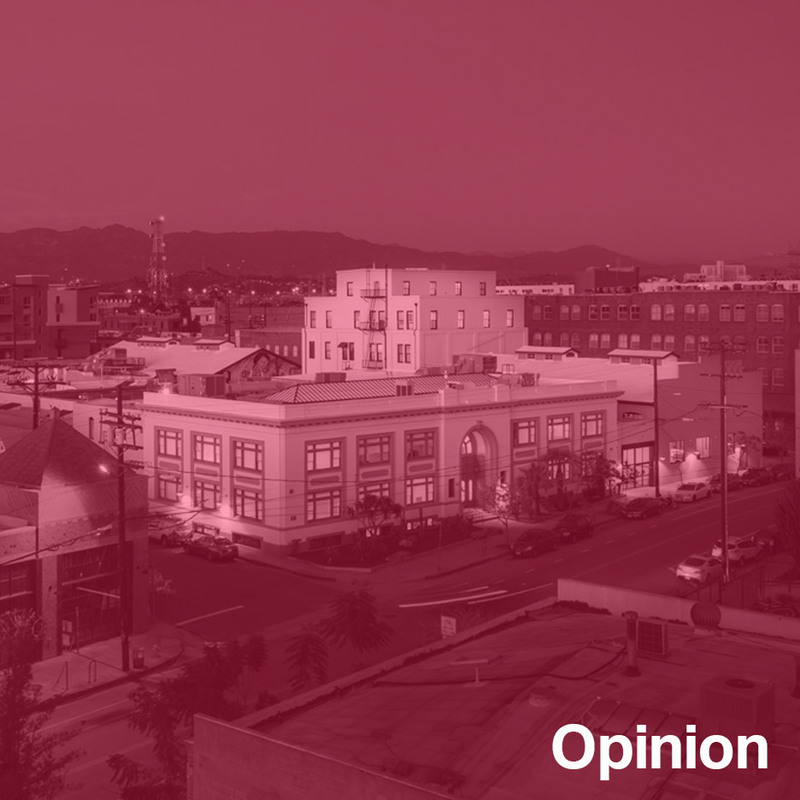 "Creative office space is the dominant aesthetic of our time"
Opinion: the conversion of old industrial buildings into "creative office space" has proven so successful in LA, even galleries like Hauser Wirth & Schimmel are getting in on the act, says Mimi Zeiger. "If all possible old building stock in Los Angeles was converted to creative office space, that still wouldn't meet the demand for creative offices," a commercial real estate broker once explained to me. At the time, his company was trying to crack the workplace code: how to cater to the technology sector's voracious taste for converted industrial warehouses and lofts? Established tech companies and startups alike had aligned the rough-and-ready aesthetics of the artist studio with the well-worn terms of Silicon Valley – disruption, innovation, and flexibility. Although the biggest tech outfits are crafting the sleekest headquarters by the sleekest architects, "creative office space" is the dominant aesthetic of our time. Janus-like, it looks backwards and forwards at once, appropriating old tropes of creativity, labour, and industry with little patience for nostalgia. The conflation of art, tech, and adaptive reuse was on my mind as I toured the mammoth art gallery Hauser Wirth & Schimmel this past March. Located in Downtown LA's Arts District, the 9,300-square-metre compound is at the epicentre of a neighbourhood that is indicative of the rapid cultural change going on in the city. I hesitate to flash the word "gentrification," since the conditions here are less about wholesale displacement than speculative infill, although the former artist community would argue the point. Hauser Wirth & Schimmel's press materials describe the area as "burgeoning". Housed in the old Globe Mills flour complex, the Swiss gallery's LA outpost is a block away from SCI-Arc's converted freight building and Michael Maltzan's love-it-or-hate-it behemoth One Santa Fe. Long gone are the pioneering artists who gave the area its name, replaced by restaurants, tech companies, and innovation hubs. The crusty punk Al's Bar – where I first watched the Brian Jonestown Massacre barely hold it together in the mid-90s – closed a few years ago, while an Arts District Soho House is due to open in 2017. Hauser Wirth & Schimmel's opening is hardly a harbinger. It's the embodiment of what we could call "creative redevelopment" — an urban-scale manifestation of the values of creative office. Repurposing old industrial buildings comes with a semi-civic agenda, with a progressive intent to better the neighbourhood for everyone. While a Los Angeles Times article handily maps some 15 nearby galleries, including the new-from-NYC Maccarone in Boyle Heights and The Mistake Room at the southernmost edge of the Arts District, it doesn't summarise the other capital forces at work. Hauser Wirth & Schimmel is the embodiment of what we could call "creative redevelopment"
Startup, co-working, accelerator, incubator, and hacker spaces are all within walking distance, including OKCupid Labs, The Hub LA, and the city-sponsored Los Angeles Clean Tech Incubator. Their presence is symbiotic with the increased number of eateries and boutiques, and also makes possible Hauser Wirth & Schimmel's narrative of "public space" and community engagement. Local design firm Creative Space, in a somewhat ambiguous collaboration with New York-based Selldorf Architects, retrofitted the compound to allow visitors to skip the narrow South Gallery (a converted bank building dating back to the 1890s of dubious proportions for showing art) and enter directly into a large, partly shaded courtyard. In remarks to the press, curator and partner Paul Schimmel touted publicness as the key design feature, waxing on about how people will bring their bag lunches to the open-air courtyard and public garden. Additional public amenities include LA's first Artbook retail store, a restaurant, and ample education programming. This publicness, when combined with the gallery's ambitious exhibition schedule and much boasted-about "museum-calibre amenities", begs comparison to museums. Especially museums in converted warehouses or factories like the Dia:Beacon or Los Angeles favourite MOCA's Geffen (nee Temporary) Contemporary by Frank Gehry. But while both exhibit artwork and share a love of skylit rooms and exposed trusswork, the more accurate comparison is to the nearby startups happily housed in creative office spaces across the Arts District and beyond. Oddball comparisons can be productive. In his book Corrections & Collections: Architectures for Art and Crime, Joe Day pitted prisons against museums in order to draw out analogous aesthetics such as minimalism or schematic approaches such as the Panopticon, but the power of his survey comes from using the comparative mode to shed light on shared institutional operations such as national and international expansionism or economic bolstering. Pairing art and tech shakes loose latent similarities. Both worlds make gestures towards engagement — be they public courtyards, Instagrammable moments, or collaboration suites – and both trade in the representation of participation, privileging the idea of sharing over the action. By changing our point of comparison we have a chance to reassess the physical details of the Hauser Wirth & Schimmel complex. Although one might reason that power-washed brick walls that are not stripped perfectly clean but instead are carefully maintained to show a patina of old paint or an artfully preserved, half-rusted, non-functional switchboard are tributes to age and labour, these are not authentic expressions of golden days of yore. Instead, these are sly signifiers of an approximated authenticity, seductive architectural equivalents of the coder's hoodie – casual, Californian, creative. Or, as William Gibson once described his Pattern Recognition heroine's museum-grade replica of a US MA-1flying jacket: "It is an imitation more real somehow than that which it emulates." Lastly, there's the common tension between place and placelessness. Just as startups situate their production within the context of a worldwide network of servers, platforms, and clouds, Hauser Wirth & Schimmel is also a global commercial agent. The LA complex, for all its architectural merit (it's a very nice place to see art), is merely one of six galleries under the brand. Its role is not as much to sell art, since much of that trade takes place at art fairs, but rather to act as billboard for art culture on the West Coast. But even that function is hedged. Unlike most museums, which are rooted in edifices dedicated to civil service, the gallery doesn't own its LA buildings. In 2014, Hauser & Wirth signed a 10-year lease on what is now the compound. The gallery's flexibility to manoeuvre its location with the flow of the market makes its investment in Downtown Los Angeles as speculative as any tech unicorn. Mimi Zeiger is a Los Angeles-based journalist and critic. She has covered art, architecture, urbanism and design for a number of publications including The New York Times, Domus, Dwell, Architects Newspaper, and Architect.